The short story to this adventure is I went to Germany .. I started the event.. I rode 700km in 3.5 days .. I called it a day and came home. 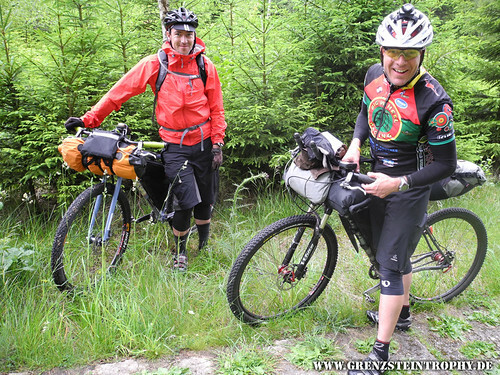 I flew out to Germany and met up with fellow Grenzstein rider and an American living in Germany ..Phil Fogg .. Phil is an awesome guy that even though we had never met went out of his way to help me out with this trip ... Huge thanks first of all to you Phil.. I can see many more adventures for us in the future .. also thanks to Phil's son Eric for helping with both the drive to the start and my lift from where my Grenzstein ride ended. After the long drive up to the north of Germany to the start in Priwal we met with other riders at a pre race dinner ... we soon realised our 8 day time limit was going to be a stretch with most guys shooting for 10 days plus ... from the start we had our work cut out. later than we would have liked but we were at last underway and the relaxation of if I had forgotten anything now it was too late so why worry... myself and Phil seemed to be on the front of the pack ... the 2 singlespeed riders setting the tempo for the geared boys ..
until an error in GPS reading saw us back in the comfort of the middle of the pack. 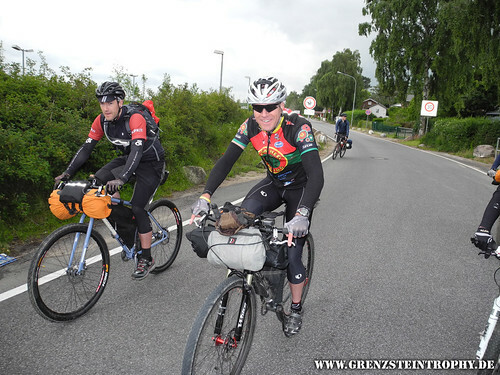 The first few days of the Grenzstein we were told were pretty flat so plan of attack was to knock out some big miles.. sorry Europe...kilometre's in the first few days to take the pressure off when the course got hilly. 200km seemed a realistic target for the first day so that's what we went for. The first few km's of day one were as expected ... nice wide gravel track with sections of sand to keep you on your toes but then we fired straight into singletrack ... an unexpected surprise .. the riding was good... the temperature was hot... happy days. We rode mainly gravel and some tarmac but also got our first taste of the infamous Grenzstein Trophy tank plates... these concrete sectional plates laid to allow tanks to patrol the border... each section a few metres in length.. each plate punctuated with brick size holes which were orientated length ways on the flat and across on steep slopes... riding had to be done on the flat strips between these holes or a teeth rattling vibration would be produced. One thing that was immediately apparent on this route was that opportunity to replensih food and water without going a way off route was limited... in fact as we were mainly reliant on a GPS route we had no idea if venturing off into nearby towns would bear fruit ... so when we could we stopped and stocked... this meant our first stop came at 140km when a small town bakery provided some welcome breads, cakes and drinks and a 10 minute time out from pedalling... the flatter nature of these initial days were tough on singlespeeders as we were having to turn a pretty high cadence to keep the few faster geared boys within touch. After our late afternoon break we no longer had any riders in sight in front or behind so could settle into a more natural pace on the bikes... wasn't long before the 'flat' first day got a little hilly with a section of steep rolling hills within a forest which were a push up and then pedal as much as possible on the backside to allow you to gain the most amount of distance up the next climb... this went on for a few km's. As the evening drew in we took dinner at a burger place... this is where my introduction to the drink Vita Malz was made... alcohol free beer of sorts... extra sugary and everything a rider needs after 12 hours plus of riding. After burgers we made a final 7km section to a campground... 195km ridden... 5km short of the target but the opportunity of toilets etc was too good to pass up. As we settled into the bivvi bags for the night the mosquito's descended ... I was using a head net but the noise of the little fellas buzzing around my face was keeping me awake... then as a light rain started I saw Phil get up dragging his sleeping set up off in the direction of the toilets... no more than 20 minutes later I set off in search of his hideout. I circled the toilet block... confused to not find him in the warm shower block as that would of been my spot of choice... I shone my headtorch into the communal recreation room but couldn't see anything... as I opened the last door to try into the communal kitchen area I found Phil startled looking like he had just been busted :) ... good find by Phil and it at least allowed some sleep away from bugs and rain. Day 2 was approached more business like... alarm at 4.30am.. we were packed and moving by 5.00am. The riding in the morning featured alot of equestrian trail... this means sand.. lots of horrible dragging sand... there is no real technique other than to soft pedal through this stuff.. impossible on a singlespeed so these sections were torture. Another ominous highlight of the morning was riding past the Gorleben salt mine... now used for storing toxic materials... the huge structure of the mine towering out from forest that surrounded it... guards with alsation dogs patrolled inside the high wire fence.. I was happy to pedal on passed this particular landmark. The lack of opportunity for food and water was again proving a real difficulty to deal with... temperatures were pretty hot so drinking plenty was a necessity ... we must have passed through 6 villages with not only no sign of a shop but no sign of any people !!! Eventually we spotted a women getting into her car and before I could react Phil was out the saddle sprinting and performed a highly dramatic skid alongside to emphasize our need for water :) Although in general a very reserved nation of people their willingness to assist never came into question and we were soon riding with full hydration packs and water bottles. Mid afternoon we came to another confusing section of gps route forcing us through the centre of a copse with no obvious route on the road... at this point we met Gunnar the race organiser who himself was circling trying to figure out what the hell was going on with the course. Our now group of 3 enjoyed the quiet roads and good weather... taking time out to grab a pizza by a canal. then off for a short while then back on for what was the longest straight I think I have ever ridden .. sure it was 3 or 4 km long. Gunnar had warned us today was the start of the 'real' Grenzstein ... kicking off with the 1100m peak called the Brocken... we would pass through the Harz mountains that day and the hills would start. We made the first 50 or so km pretty easy ... found a guesthouse for coffee and a coke..
after coffee we started the 7km ish climb from around 200m to 1100m ... the climb started nicely through woodland on gravel ... then onto tank plate ... a brief break from climbing on a rocky fireroad descent then back into it with the final 3km being a push up 20 % plus gradient tank plate... nearing the top the weather was raining hard and misty ... a mast appearing out of the mist signified the top.. I knew Gunnar was ahead but when I reached the top and circled the many little cafe's I couldn't locate his bike... guessing he didn't wanna stay up there long I descended off the top in pursuit.. the descent chilled me and it took a while before feeling came back into my hands... I rode pretty hard for an hour with no sign of Gunnar ahead of me on the trail. I kept riding until I reached a section crossing gravel ... here tyre tracks were obvious and there was only one which must have been Rene's ... I decided to stop and wait for 10 minutes... then 20 minutes... then 30 minutes... when 40 minutes passed I switched on my phone to receive a message from Phil to let me know that he had met with Gunnar at the summit of the Brocken ... somehow I had missed them ... I waited getting Grace at home to try and track them down using the Spot trackers we carried... after an hour they showed up and we were back riding as a group again. The weather continued to get worse after descending the Brocken and we were riding in pretty miserable rain, after 125 ish km ridden we reached a small town, Neuhof, the guys managed to locate a guesthouse... it was only 4pm in the afternoon so I wasn't keen to stop but was keen to eat so we stopped in for food... after a while it was clear that Phil and Gunnar were not keen to continue riding in the rain... as a Brit rain is our thing... we always have it so always ride in it... I toyed with the idea of continuing alone but knowing myself decided I would fair better in a group so stayed. 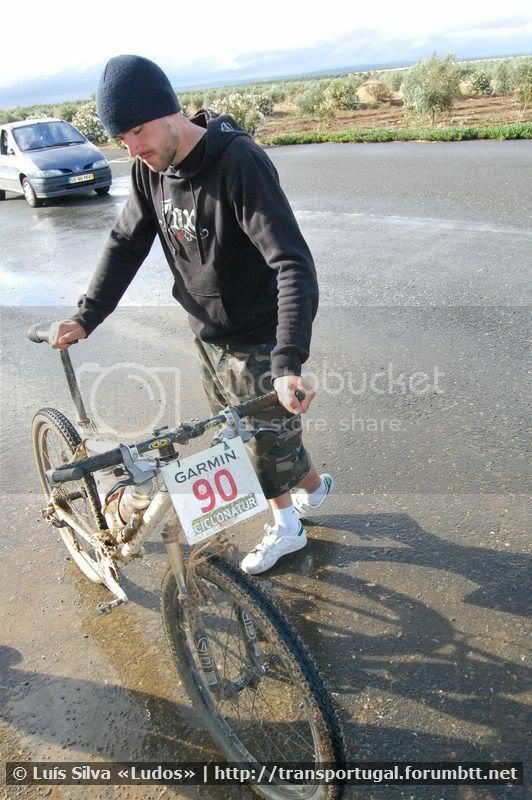 Gunnar suggested that night a possible alternative to the set course... some 300km shorter... I really wasn't keen to go down that road so was happy when it seemed this idea had gone and we were focused on getting this thing finished. Unsurprisingly the next morning started at 4.30am .... riding out at 5am I felt a little more comfortable having had a shower the night before... the previous days I was struggling to find a comfy spot on my saddle. With little messing the track dived straight into tank plate and then the rolling hill started and a pattern of roll down and push up emerged... the tank plate was too wet to really let your bike get shifting down it so the first 20km came pretty slowly... at the peak of a climb Gunnar stopped and suggested again the alternative route cutting 300km off the course... Phil was easy either way but I was committed to getting the event finished ( or so I thought). Gunnar and Phil decided to take off and do an alternative route ... I was on my own. The hills started to get pretty serious ... each gradient well over 20 % and resembling more a ski jump than a track you would want to ride on... the seriously steep up's were equally matched by the horrendously steep downs as I caressed brakes making fine adjustments as the combined weight of myself and a fully loaded bike tried to break free of the grip of a pair of brakes and send me at uncontrollable speed down the hill. 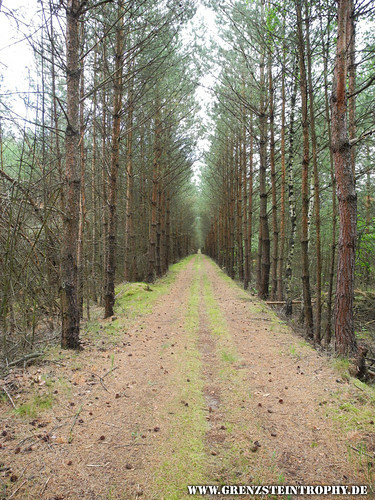 The course became unrelenting but worse than that it would continually route around villages... you would come close to a settlement ... but just before would veer off at right angles only coming back to the road you were on when you were passed the village... I was good for supplies but a little interaction with people would have been nice... I had been riding for 12 hours and not really seen anyone. As the hours passed the doubts started to creep in... I had at least another 3 days of this riding ahead of me on my own ... I was in second place holding a consistent gap of 3 hours to Rene in front but to wait for riders to catch up for company would leave me without enough time to complete the course before my flight ... I had ridden 700km in 3.5 days achievement enough in itself and then I couldn't see the point anymore .. I had ridden a lonely 140km ... the fun had gone... my head had gone.. 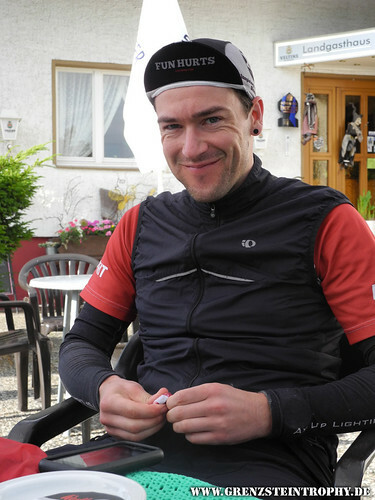 I sat on a roadside bench and ate a full bag of Haribo ... then I picked up the phone and text Grace to tell her I was quitting... then I called Phil who had made it home abandoning his alternative route for a ride. I came away from another event with another event with another DNF to my name... I enjoyed some of what I experienced in Germany ... but more importantly I learned again that I am not designed to be alone... some can function in this manor with little or no human contact I am not like that... 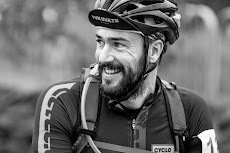 I really enjoyed riding with Phil and have no doubt if we had stayed together we would have made it to the finish ... we are already planning to get together for another trip as we both realise we share the same character trait of the need for company when we ride. Moments after quitting I was ready to give up riding and look for something else in life to fulfill me... now I have a set of ground rules which I aim to follow to maximise my enjoyment of the sport and to make sure I can still challenge myself. New bike frame is on the way and new challenges have been identified but now it will be Paul and Co. ... Solo multi day projects are not for me.. I will push out long non stop rides but when it comes to multi day riding I am open and honest with myself in saying I need company on the trail ... I am also lucky enough to have people that I want to go do these challenges with. Great report. 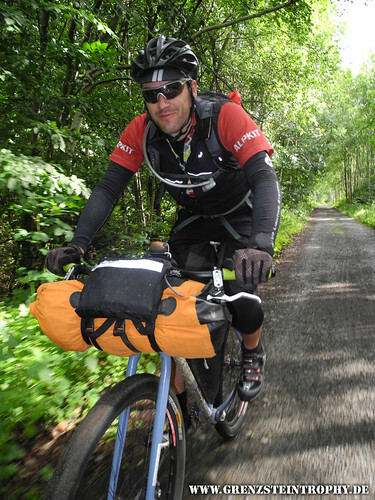 Sounds like an interesting little ride, and one that's a little closer to home than the Tour Divide. Thanks for putting it on my radar. I can well relate to your hardship of riding long back to back solo days but it's one ride I may have to think about for next year :) And if you ever want some company on long rides, give me a shout. Now that looks like a good race. I cycled through some of those areas on my honeymoon a few years ago and vowed to return with the mtb one day. nice write bud! We'll have to do another adventure together soon. Those tank tracks looked like no big deal but then when you contemplate mile after mile after mile of holes in the trail... not so fun. Good work Paul. Bloke, great read. Move to Australia and I will be your fulltime "co" for adventrues. A nice honest write up.